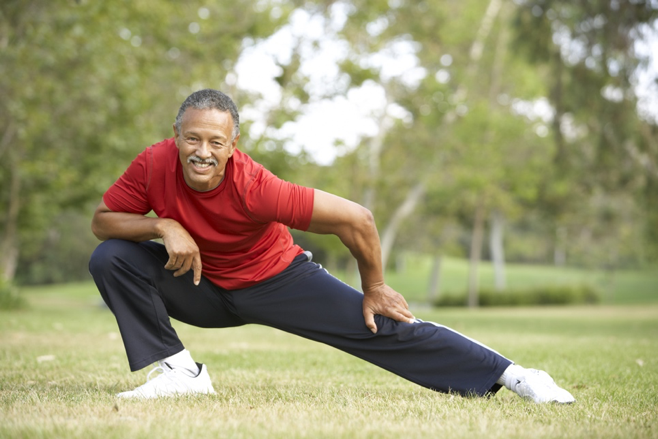 Staying fit is important throughout your life but even more so as you get older. However, exercise nowadays can be quite expensive and the stress of maintaining the diet or exercise schedule can be overwhelming. Nutrition is a big part of being and staying healthy, especially in your 50s. However, specific diets are often very expensive and tiring for both the body and the mind. Most people fall of the bandwagon just because these put so much strain on you – you are on a diet, everything is forbidden! Try a lighter approach instead. Avoid sweets, for starters. They are not good for your blood sugar and they have no nutritional value. But if you feel like having a piece of cake at a birthday party, don’t shy away from it. As you progress, your body will need less and less sweets and you’ll eventually give them up entirely. The same goes for junk food, pastries and bread. You can also look for healthier solutions like healthy sweets with honey instead of sugar, dark chocolate or almonds. Try having a veggie burger instead of the junk food one. There are plenty of replacements for other things as well. Water is essential in your life but you often forget to take it, don`t you? It’s A common problem. You saturate your thirst with juices, sodas and similar unhealthy drinks. But water is a excellent replacement for these. Set a reminder for yourself and get into the habit – take a bottle with you everywhere. After a while, you won`t need a reminder. Exercising in the traditional sense – the gym, running and so on – can be just as stressful for your body and mind as going on a strict diet. It’s just something you are supposed to do but really don’t want to. It can be boring as well. However, there are better approaches. Taking a walk every day is one example. It’s relaxing, you can do it with friends, family members or pets. You can also look at great scenery, talk while you do it or listen to music. It’s also beneficial to your mental health. Getting enough sleep is crucial. Go to bed early and wake up early. You`ll get a full day to enjoy and you will never be tired. Other than walking as a way to stay fit, you can also do plenty of other things. For instance, there is yoga, dancing, doing some appropriate sports, pilates and so on. Find an exciting activity that you love and you`ll never feel stressed about working out. Instead, you`ll look forward to it and have fun doing it. Activities are important but so is relaxing. Allow yourself to rest and have some down time – read a book, watch some TV, take a nap and so on. You`ll feel much better and enjoy your day a lot more. “If you are going to do an activity that requires your entire body to be involved, it’s best to stretch and warm up before doing it. 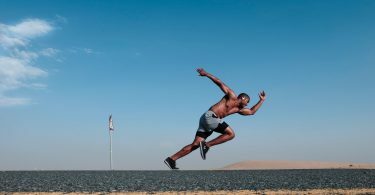 Your body will be prepared and no exercise will be too straining or difficult after that,” says Filip Haskel an HR manager Britstudent and Australia2write. No matter what you are doing – be it staying away from sweets, walking, doing a fun activity – it’s always better if you have a partner. Do it with a spouse, a friend, a family member or find a complete stranger who likes the same things you do. It will be much easier to stick with what you started if you have someone to support you. “Dogs can be amazing. They make you get out of the house whether you like it or not. You have to walk them, play with them and so on. Dogs can be wonderful partners in any activity you do, especially walking,” says Anna Trent a Lifestyle Coach at Write My X and 1Day2Write. If you still drink and enjoy it in your 50s, make sure that you stay moderate. For instance, don`t get drunk or drink every night of the week. It’s bad for your health and your appearance as well as your mental health. An occasional glass of wine or beer isn’t going to hurt anyone but spirits and consistent drinking can really hurt you. Being fit doesn’t mean you have to invest in an expensive diet or a gym membership. You can stay fit and still have fun doing it. Hopefully, these tips will help you enjoy your 50s. Adelina Benson works as an email marketer and writer with AcademicBrits and OriginWritings. Her main tasks involve managing the quality of business emails and developing email marketing strategies. When she has free time, she likes to write helpful articles on topics that interest her. Adelina Benson is a creative writer and editor at Academic Brits [https://academicbrits.com/]. She develops marketing strategies, edits and proofreads company emails. In her free time, she loves exploring new ways to connect with people and share knowledge both in the real world and online!